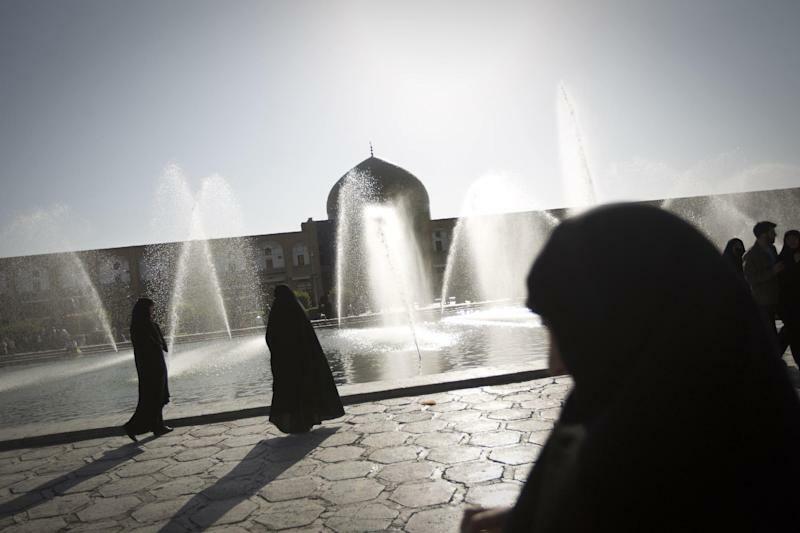 Tehran (AFP) - A series of acid attacks on women in the historic Iranian city of Isfahan has raised fears and prompted rumours that the victims were targeted for not being properly veiled. Police have declined to comment on a motive but suspects have been arrested and an investigation is ongoing, General Hossein Ashtari was quoted as saying by the official IRNA news agency. He said four acid attacks had been reported in Isfahan, 450 kilometres (280 miles) south of Tehran, but he gave no other details. The violence led to chatter on social networks that there had been up to 13 acid attacks against women drivers who were "badly veiled" with accompanying warnings against leaving car windows open. Such incidents have risen in recent years in Pakistan, Afghanistan and India, with the abusers claiming they punished women for "sullying" their family "honour" by committing "indecent" behaviour. Under Islamic law in force in Iran since the 1979 revolution, women must wear loose clothing, known as hijab, that covers the head and neck. Recent years, however, have seen many wear a thin veil that hardly covers the hair and tight clothing or coats reaching mid-thigh -- an ensemble often denounced by conservatives as "bad hijab" -- instead of a traditional chador that covers the whole body. A senior cleric of Isfahan, considered Iran's top tourist attraction for its carpets, ancient mosques and giant square -- second only in size to Tiananmen Square in Beijing -- condemned the attacks. "Such an act under any pretext is reprehensible," Hojatoleslam Mohammad Taghi Rahbar, a Friday prayers leader, told the ISNA news agency. "Even if a woman goes out into the street in the worst way, no one has the right to do such a thing," he said. A fearful resident of the city was quoted by ISNA as saying: "I roll the windows closed and I panic every time I hear the sound of a motorcycle approaching." Iranian MPs have written to President Hassan Rouhani in recent months to demand that police better enforce wearing of the veil.